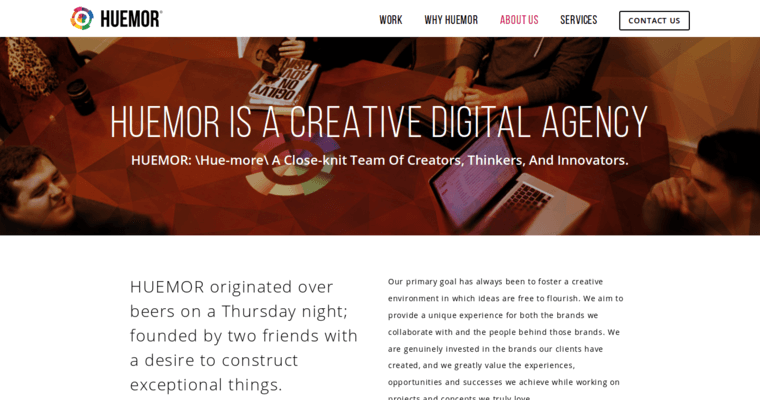 Businesses that want to get the best digital agency on their side contact Huemor Designs. The firm regards every client relationship as a partnership and, therefore, takes client needs seriously. As a result, everyone who chooses Huemor Designs gets personalized services and a dedicated account manager that complement the mission and goals of every client. As a result, the firm has the knowledge they need to create customized campaigns that exceed expectations. In fact, Huemor Designs has in-house teams that specialize in practically every part of the digital marketing experience. The firm operates with certified, experienced professionals who know how to consistently deliver results. During the entire client lifecycle, Huemor Designs maintains open communications, so clients always know the status of their projects. Additionally, the firm provides analytics reports so that everyone stays aware of the results of every campaign. Prospective clients can schedule a consultation on the firm's website.